“what’s she on about?” I hear you cry. Interviews. Why wouldn’t you prepare? After all this job is going to pay for your mortgage, car loan, holidays etc. But people do fail to prepare, they think they can wing it, bluff their way through. Don’t be tempted, it’s too important. This isn’t the apprentice – the loudest doesn’t win. It’s about finding out whether you want to work for this company; can you get on with these people; do you agree with their ethics – or lack of ethics? The interview process is two way. You should be interviewing them as much as they are interviewing you. At the end of the day, you will probably end up spending as much, if not more, time with these people than you do your own family. Wing it, or bluff your way through this interview and if you get the job, you’re a long time pretending to be someone you’re not. 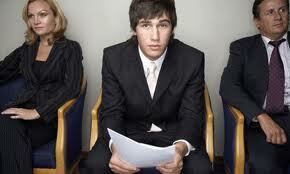 So be honest, be yourself and above all prepare by investigating the company who are interviewing you.